This isn’t the first time that our jaws have been on the floor over news and images of the Kingdom Tower, the skyscraper in Saudi Arabia that will break the one kilometre mark to become the world’s tallest building. 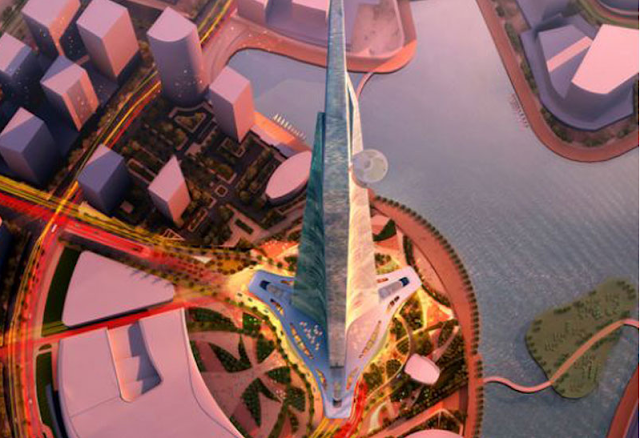 The supertall structure will house offices, hotels, residential units and retail and will serve as the centrepiece for the Kingdom City project in the Saudi city of Jeddah. 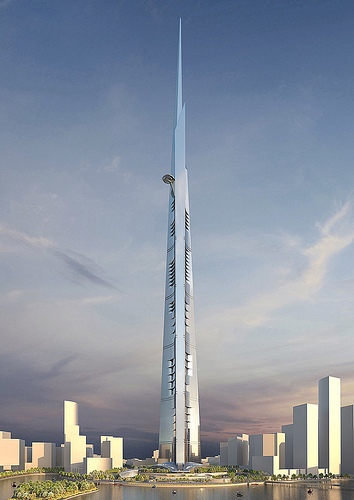 There will be approximately 200 floors in the Kingdom Tower, but current plans suggest that only 160 will be habitable. 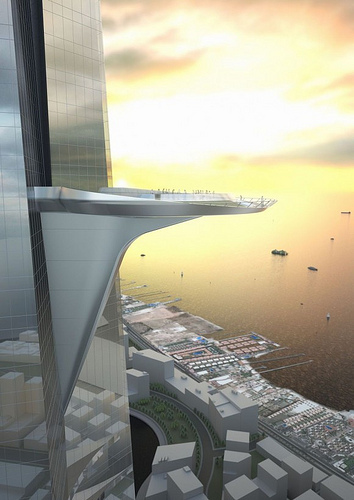 A glass-floored, circular sky terrace will overlook the Red Sea from over 610 metres. To give you some perspective, the CN Tower is 553.33 metres. A sky terrace will overlook the Red Sea and have an area of 697 square metres (7,500 feet). Chicago-based architect Adrian Smith created the design for the Kingdom Tower, whose previous credits include the Burj Khalifa, the Jin Mao Tower and the Trump International Hotel and Tower. The estimated completion date is set at between 2016 and 2017, so you can expect plenty of more news about the Kingdom Tower’s progress in the meantime.